I am a little over a month into my makeup challenge, which means, I have not bought any makeup! I ALMOST caved when I was Christmas shopping at Ulta the other day. I even walked around with an eyeshadow palette in my bag that I really wanted but I put it away. I have no idea when my challenge will be over. This week I was not able to pick a new product from the box because of life and the holidays. Next week's post will be all about my favorite products of the year. The challenge posts will resume the week after next. I low key want to switch up how I am getting through the makeup box but on the other hand, I don't. 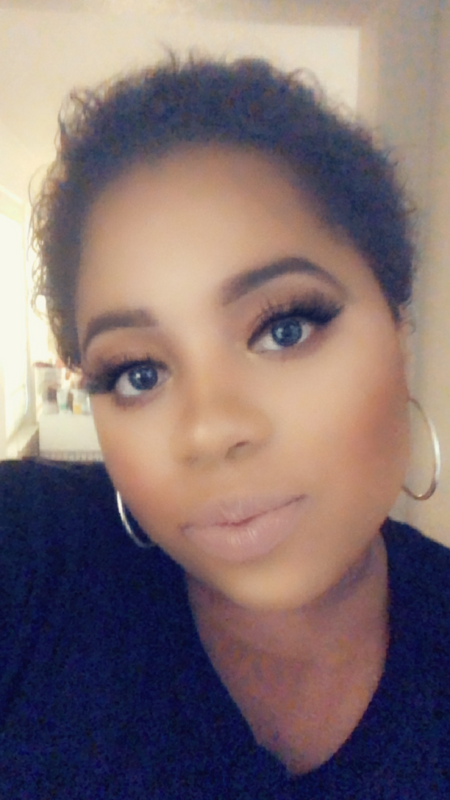 We'll see what I decide, but until then, let's talk about all the makeup I wish I had LOL. First up is the Morphe X James Charles Eyeshadow Palette. This palette is everything!!! You can create an endless amount of looks with this. I had to stop myself from purchasing this a couple of times. 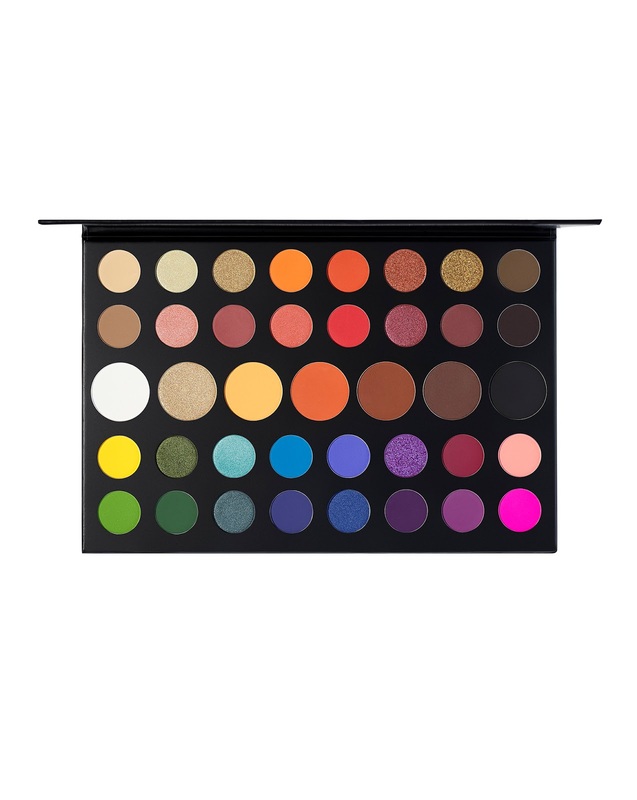 I believe it is currently sold out everywhere (Morphe's website and Ulta) but I think it will be returning soon. I love how the palette is set up (neutrals on top and vibrant colors on the bottom). 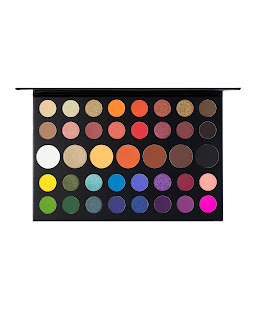 Many people have raved about how beautiful and pigmented the shadows are. I don't want, I NEED this palette! 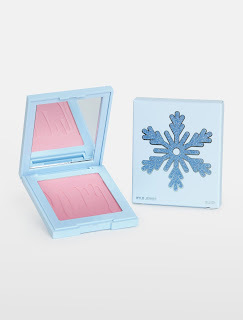 The second product I have been drooling over is the Kylie Cosmetics Winter Kissed Blush. I became obsessed with blush at the beginning of this year. It really completes my makeup look and makes me look like I got 12 hours of sleep. This blush was released with the Holiday 2018 collection. I love Kylie's blush formula and LOVE this color so much. I usually go for more peachy or orange toned blushes but there is something about this powder pink shade that is calling my name. Patrick Starrr has released five collections with Mac Cosmetics within the past year. His final collection included the translucent powder everyone loved in his very first collection. I was never able to get my hands on this product when it was first released and it pains me that it is now available and I can't get it because of this challenge. I have heard this powder may become permanent and I really hope this is true!!! The final product I have had my eyes on is the Huda Beauty Matte and Metals Melted shadows. I saw Huda demonstrate how to use this product on YouTube. I found the matte side the most interesting because I have never used a matte liquid shadow. 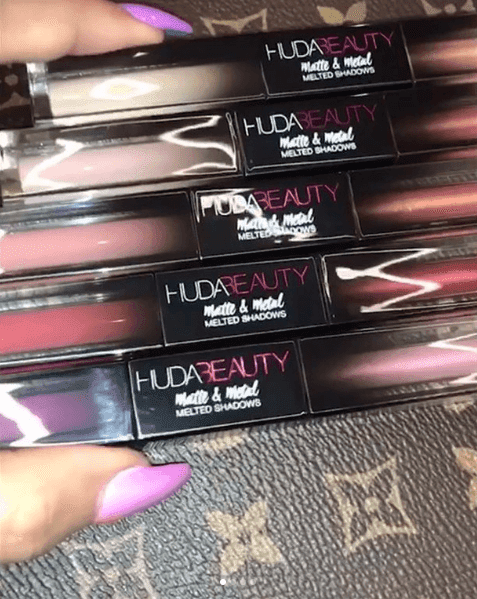 When Huda applied and blended one of the matte shades, I fell in love! They looked so easy to blend and the pigment was pretty impressive. The metal side also looked gorgeous. Combining the two sides created a super glam look that literally took 2 minutes. There are definitely other products that have caught my eye during this past month but these are the few that I have had to strong-arm myself out of buying. That's all folks! Don't forget to subscribe via email! Next week's post is gonna be a good one! Merry Christmas!